It’s very commonplace to see people making money off displaying advertisements. If they own real estate, like a billboard, where they can display the ads, they can make a considerable amount by displaying ads on it. This works for online real estate as well and those who have websites with high traffic; these generally earn quite a bit of money through AdSense. AdSense is basically a venture by Google that works in conjunction with AdWords. In AdWords, Google earns revenue by displaying ads on their search result pages. With AdSense, Google allows people to have a portion of the revenue earned through AdWords. The first step to earning money from AdSense is to understand how it works. If users have a website, especially one that receives high traffic, they can display ads on them. The number of ads displayed can vary and the user can easily display three or four, as long as they have the space for it. The earnings depend on the number of times the ads are clicked on by the visitors of their website. Getting started with AdSense is very easy. Once a website is established, the user needs to register for AdSense in Google and apply. If you don’t have a Google account, you need to create one to register. All Google products require a Google account. After that, the user must describe their website content to Google. The company has a program policy that one needs to read through before proceeding. After that, the user must submit their postal address, without which they can’t create an AdSense account. The Address must be valid. After that, it’s just the matter of submitting the application and getting the account activated. The amount per click might vary depending on how much the merchant has paid Google on the Cost per Click basis. The higher that amount, the more the user earns. Many estimate that the users might earn about 60-70% of the earnings while Google gets the rest. Essentially, the user is leasing space on their website to the advertisers. Those who already use AdSense comment that a person can earn as little as 26 cents and as much about 20 to 25 dollars, depending on the ads that they are displaying on their site. However, it is very rare to get more than a dollar or two, unless the website gets a great deal of traffic. Moreover, the income earned from AdSense isn’t stable or something that one can base their life on. A person shouldn’t rely on it as their primary source of income. If a person wishes to improve their earnings through AdSense, they can certainly do that. There are a few tips and tricks that one can employ to ensure higher earnings. The fact of the matter is, the more visible the website, the more visible the ads. Higher visibility of ads means that more people are likely to click on it, earning the user more money. A person can make a website more visible by making sure that content is more interesting or very popular. Websites that have content that are in demand are likely to get more visitors and that translates into more clicks. 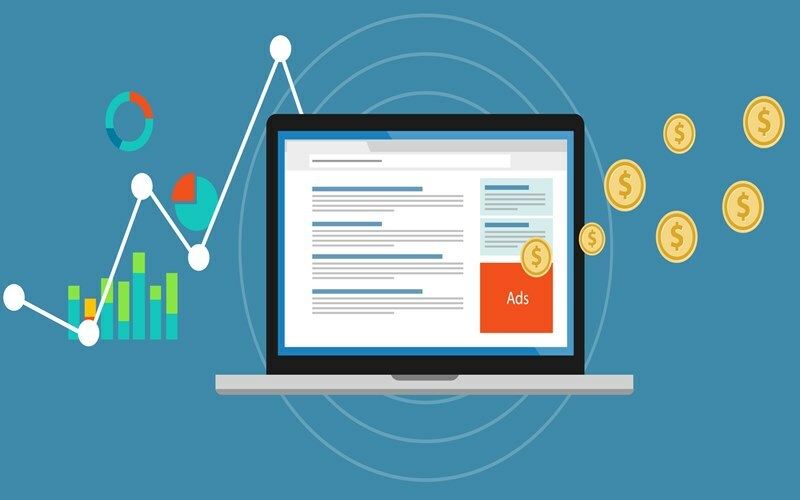 If the website content and the ads are connected, a user is likely to earn more. For example, if the user has a health and wellness website then ads showcasing exercise equipment, herbal products and such services might lead to more clicks. Promoting the website on social media sites like Facebook, Twitter, Tumblr, etc., would get more traffic flowing into the website and that would increase the earnings. It is also better to avoid free hosting websites, they’ll have their own advertisements that they earn money off. One can align the ads in a way that they’re visible and yet not disrupting. Ads that disrupt the content usually irritate the readers and they might not return to the site. Once the website and AdSense are established, the amount is automatically updated in the AdSense account.